Casper is seeking an experienced Conversion Optimization & Onsite A/B Testing analytics manager to join the Data & Analytics team. 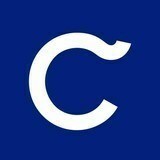 Casper is a data-driven company & Data & Analytics Team is responsible for driving data-driven strategy across the company, including providing unique customer & commercial insights, fueling data-driven acquisition & marketing spend to increase marketing effectiveness & efficiency, driving data infrastructure to build capabilities to drive customer lifetime value. We work closely with the Marketing, Tech, Retail, Wholesale, & Product teams to deliver business results. We are constantly testing & building new approaches as we look for ways to grow the Casper business. The Manager of Onsite Analytics will lead our onsite conversion optimization & A/B testing capability, & work closely with Digital Experience, Tech & Marketing teams to increase conversion rate by leveraging data & analytical insights, & onsite A/B testing. This person should be analytical & technically strong, fiercely interested in web analytics, site optimization, A/B testing, as well as performance marketing, ecommerce & omni-channel business, learn fast, ask good questions, think creatively & manage their time well. Build comprehensive testing frameworks & champion a testing culture that rapidly tests, measures & iterates. Design & run A/B & multivariate testing initiatives for site design & marketing campaigns. Own & be the resident expert in our event tracking, web analytics & testing tools (we use Optimizely, Heap & Google Analytics).